SR Max is the new Aprilia scooter which brings the Piaggio Group racing brand into the grand touring segment. Available in the 125 cc or 300 cc version, SR Max puts the Aprilia sport spirit on the road for pure enjoyment and riding pleasure. 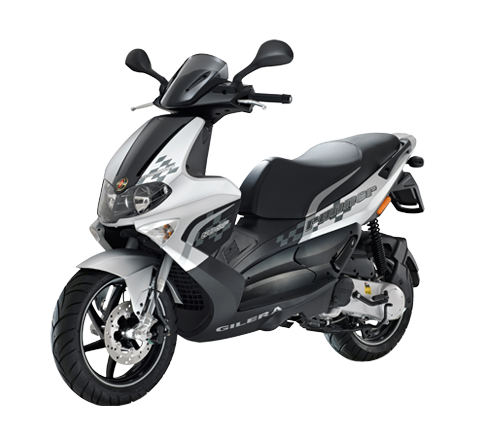 Aprilia SR Max interprets the performance and grit of the products from the Noale manufacturer in GT style: the scooter inspired by the racing world which guarantees top performance and great versatility is born. SR Max, stands out at first glance. An aggressive design traced by taught lines reflects the sport nature of a vehicle which sets itself apart with style and an explosive shape. 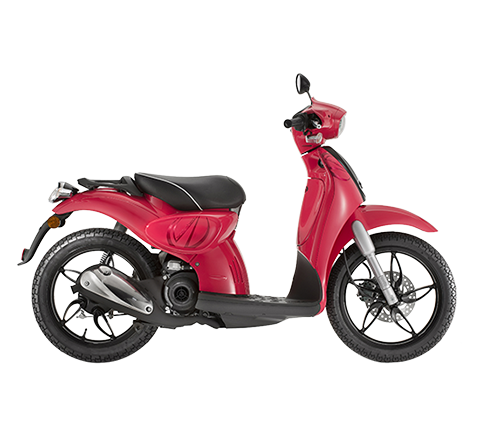 The compact but light nose holds the aesthetic dynamism of the headlight assembly: A silver coloured grille is inserted between the two lights, a simple, thin screen which gives the SR Max 125 cc and 300 cc an energetic expression. The graphics which encompass the light and the air intakes create a "contrast" with the vehicle colouring, together with the "three-coloured" scheme, which are flaunted on the upper part of the shield, give the SR Max elegance and an unmistakable style. 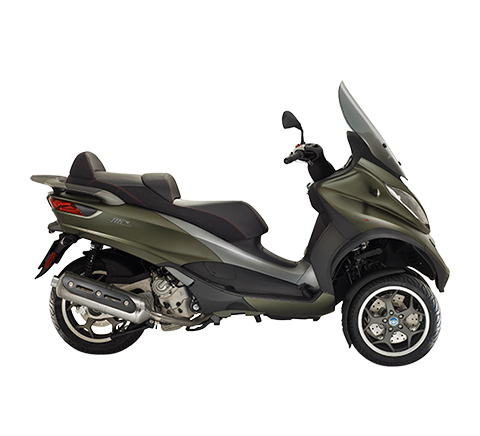 The sleek and sharp tail fairing enhance the explosiveness of the rear of SR Max, its agility highlighted by the generous, but slender underbelly where Aprilia is emblazoned in silver. The two-colour saddle is made from a sport fabric and is highly ergonomic: equipped with lumbar support for the rider, it guarantees comfort in any conditions; the handles which frame the rear part of the saddle guarantee safety and reliability for the passenger. 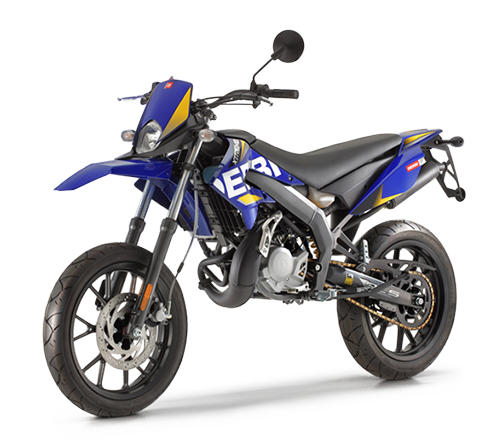 Suitable for every day travel, but also designed to provide an exciting ride for longer trips, Aprilia SR Max, in the 125 and 300 versions, has top-notch motoring qualities and cycling features in any situation. 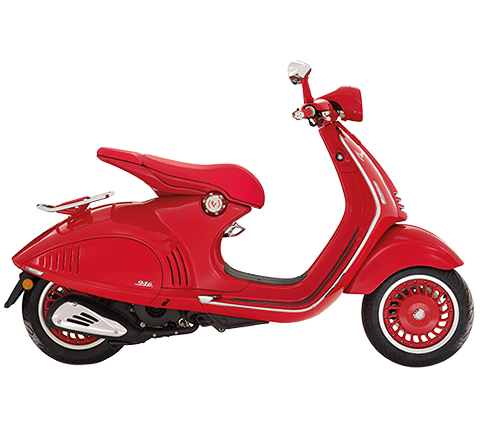 Both the SR Max 125 and the SR Max 300 have large scooter suspension: a hydraulic shock absorber with 35mm traditional telescopic fork is mounted on the front, while on the rear a pair of 3 position adjustable spring preload shock absorbers work to guarantee optimum balance of the vehicle. 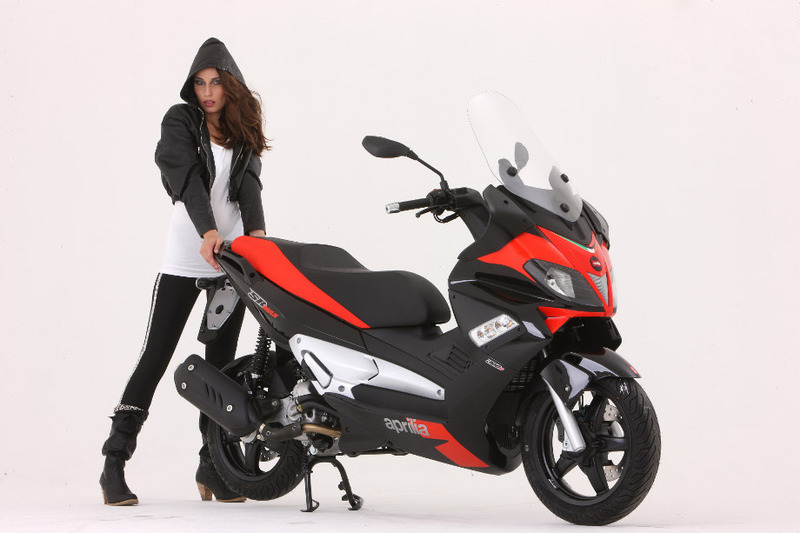 The 125cc and 300cc hearts are the true strength of the Aprilia SR Max. 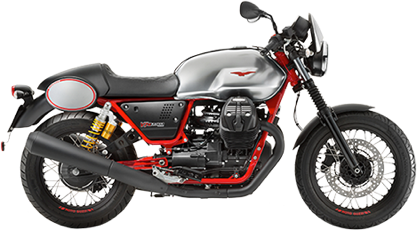 The single-cylinder, 4-stroke, 4 valve 125 version, equipped with electronic injection, reaches a power of 15 HP at 9,250 rpm: the maximum power and torque values are absolute benchmarks and ensure quick acceleration and disciplined pick up for the Aprilia SR Max, all to the advantage of perfect gear fluidity. 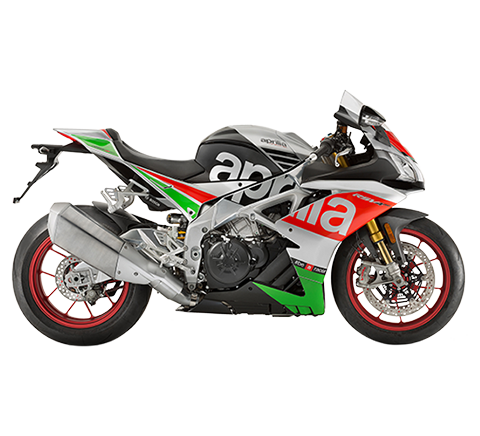 Aprilia SR Max 300 is equipped with a single cylinder 4 valve liquid cooled, electronic injected engine; characterised by a 75 mm bore and 63 mm stroke, it reaches maximum torque of 23 Nm at 6000 rpm. The result is excellent torque distribution and consequently energetic acceleration. 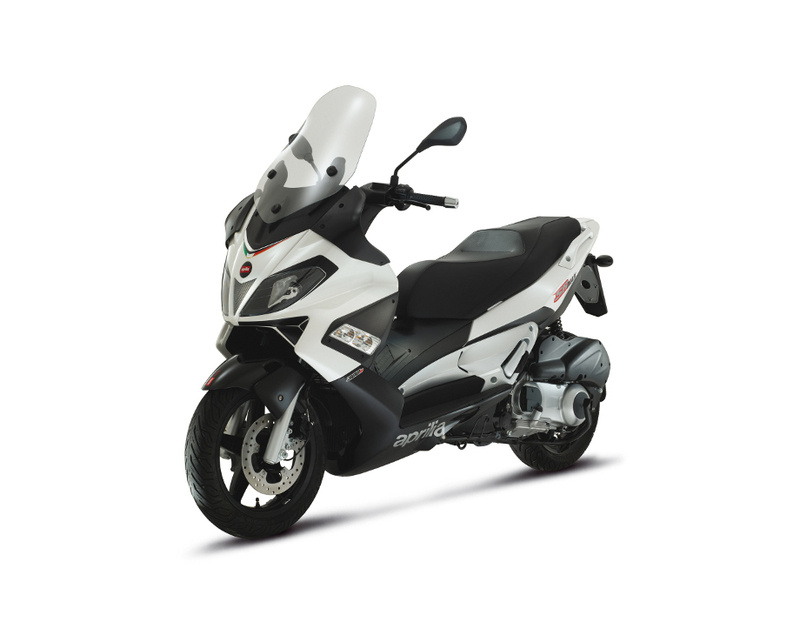 Aprilia SR Max 125 and 300 are available in the two classic and elegant colour schemes of Nero Aprilia and Bianco Glam.